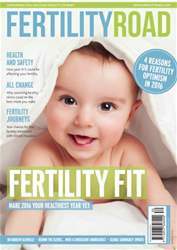 Fertility Road ’s Kate Brian speaks to Asif Muneer, Consultant Andrologist at University College London Hospital, to find out what constitutes a normal day for someone at the front line of reproductive science. Unless there is an early sperm retrieval to do, I normally arrive at work at about 8am. I’m a Consultant Andrologist and Urological Surgeon, which means I work with men with fertility problems and urological issues, as well as men with genital cancer. I perform microsurgical vasectomy reversal and reconstructive surgery. I work in the NHS and also have a private clinic, and I tend to start the day by seeing some of the patients I’ve operated on the day before. Most of the fertility patients who have undergone surgery can go home within a few hours and will not need to stay overnight, but I do also operate on patients who need endoscopic surgery for ejaculatory duct obstruction or for cancer. They will stay in overnight so I visit them all first thing on the ward to see how they are. Once I’ve visited the patients who’ve stayed in overnight, I quickly catch up on my paperwork before I start my morning clinic.